The Princess & The Geek: The Inbetweeners! 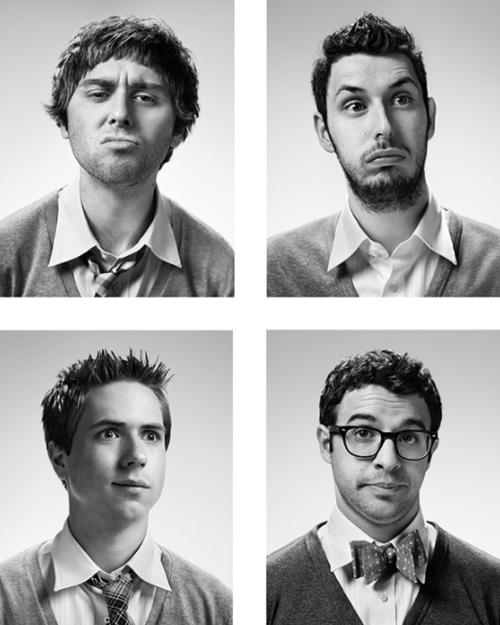 I'm in love with The Inbetweeners.... actually Will to be exact. I don't care for the others, just Will. I LOVE HIM! The Inbetweeners... (top left) That guy, (top right) that other guy, (bottom left) that guy, (bottom right) WILL! He looks quite dashing with his glasses and bow tie! Have I mentioned that I now work in the DVD section at Target. I freaking love it. It's so awesome. I'm not standing around, I always have something to do, and I have heaps of awesome customers to chat to. there is no dress code, plus girls with their undies showing might be total computer geeks but you dont know that because you are judging them on what they are wearing. Hi Ash, thanks for your comment :) I know I shouldn't judge people I don't know, but in this case my rant was actually about someone I know. I understand geeks are very diverse, I understand that fashion dosent make the person. But in this case, this girl went from openly mocking me and everything I'm interested in, to calling herself a geek and even stating that her "favourite" things were the things she had mocked only a couple of weeks before.